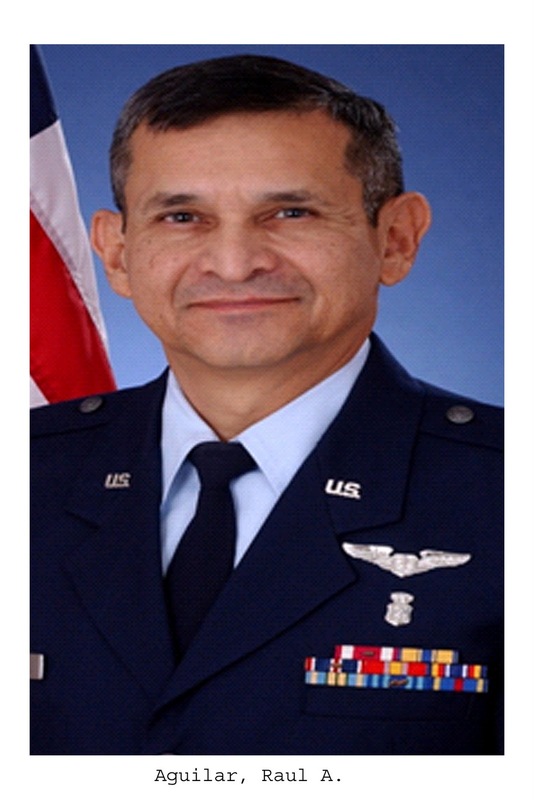 Air Force Reserve Col. (Dr.) Raul A. Aguilar has retired from the U.S. Air Force Reserve after 22 years of faithful and honorable service to the nation. At his retirement ceremony, Col. Aguilar was decorated with the Legion of Merit Medal for exceptionally meritorious conduct in the performance of outstanding services to the U.S. as commander of the 433rd Medical Group at Lackland Air Force Base, San Antonio, Texas. His exemplary leadership, strategic vision and devotion to duty that he consistently demonstrated resulted in significant contributions to the effectiveness and overwhelming success of the medical group, the 4th Air Force, and the Air Force Reserve Command. His "service-before-self" spirit and energetic style of command set the example as his squadron members continually volunteered to support the Global War on Terrorism, Air Expeditionary Forces rotations, and humanitarian missions. His dedication to mission readiness ensured medical support of more than 2,500 wing personnel in response to both wartime and humanitarian missions. Through his leadership, personnel were handpicked as subject matter experts to train others, both locally and in foreign countries. Aguilar managed and directed the operations, training and activities of three medical squadrons composed of more than 480 medical personnel. Under his tutelage, he led all three medical squadrons to successfully attain an "outstanding" rating on health services inspections. Col. Aguilar entered the Air Force in 1988 and was assigned to the 433rd Clinic at Lackland Air Force Base. He served in multiple roles in the medical squadron, which included duties as flight surgeon, infection control officer, quality assurance, risk management and laboratory officer in charge, immunization clinic physician consultant, emergency medical team physician coordinator, chief of protocol services, and alternate commander. In his civilian occupation, the Edinburg, Texas, resident-reservist serves as a practicing physician at the Veterans Outpatient Clinic in McAllen, Texas. He was recently named Chief of Staff for the Veterans Affairs Texas Valley Coastal Bend Health Care System in Harlingen, Texas. He is the son of Celia Aguilar and the late Eulalio Aguilar Sr. of Saddlecreek Drive, Houston, Texas. He is the husband of Cynthia Aguilar and father of daughter's Nadia Aguilar, Laura Aguilar, and son Carlos Aguilar. He is also the proud grandfather of Christian Anthony Aguilar. Dr. Aguilar graduated in 1970 from Rio Grande City High School, Texas, and received bachelor of science degree in 1972 from Texas A&M University, College Station. He earned his medical doctorate degree in 1978 from the University of Minnesota at Minneapolis.